I will be giving a workshop at the Leimert Park Book Fair at the Baldwin Hills Mall, Los Angeles, CA on August 9, 2014 at 12 noon. Please mark your calendar and come out to support me and this event. The name of the workshop is "How to Impress a Script Reader. I will be teaching on how to write a logline and what a script reader looks for in the first five pages of your screenplay. Please bear with us as we update our website to add our new name and email address. We are now called: SUCCESSFULSCRIPTS.COM. Our email address is: success@successfulscripts.com. Thank you for your support. 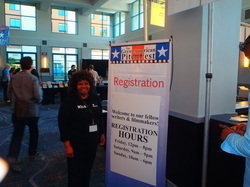 Spent a wonderful weekend at The Great American Pitch Fest Registration Desk welcoming screenwriters and helping some of them write their logline and pitch. Many came back excited and thanked me for helping them. It feels good knowing that my gift and talent was a blessing to others. On the first Saturday of the month, the Writer’s Guild Foundation Shavelson-Web Library is now open from 1pm to 5pm. For those who work a 9 – 5 job, this is great news. The Writers Guild Foundation collects produced film, television and radio scripts, DVDs, books, periodicals, videos and other materials related to screenwriting. Many of the scripts have received Oscars, Emmmy’s, and the Golden Globe awards. One of the best ways to learn how to write your spec script is by reading a lot of scripts. The Writer’s Guild Foundation is well known as the place to go for all your screenwriting needs; from the classics to the summer’s great movies, such as: THE CONJURING and STAR TREK INTO DARKNESS, as well as early drafts of classics like BLADE RUNNER and THE BIG CHILL. You will also be able to reference teleplays for hot shows like THE MINDY PROJECT, HOMELAND and ELEMENTARY. This is an excerpt from the article. "After using The Black List as a way to scout screenplays worth buying, Warner Bros has made the first alliance between a major studio and Franklin Leonard‘s screenplay evaluation service. The goal is to give opportunities to scribes who might not otherwise get a chance. Using the diversity guidelines from the WGA‘s Executive Summary that shows how far out of the mainstream minorities, women and some other groups are in the makeup of working screenwriters, The Black List will recommend a short list of five writers every six months who come from what the WGA identified as an under-served scribe demographic. One of those writers will be offered by Warner Bros a two-step blind script deal worth around $93,000. The initial plan is for this program to run for two years, which will mean deals for four writers will get a foot in the door. The first short list of writers will be turned over to Warner Bros around Thanksgiving." Hello Everyone, Just a note to let you know that I will be giving a FREE Script Reader workshop at the Leimert Park Book Fair, June 29, 2013 at 2 pm. The workshop location is at the "We Can Foundation" 4329 Degnan Blvd, Los Angeles, CA 90008. The Leimert Park Village Book Fair is open from 10 am to 6 pm. At the Script Reader workshop you will learn: How to "think" like a Script Reader, How to write a logline that will hook a reader, Five elements that MUST be in the first fifteen pages of a screenplay. 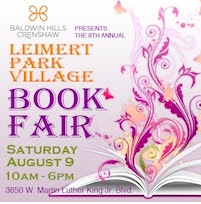 "The 2013 Leimert Park Village Book Fair (LPVBF) will celebrate another year of bringing a world-class, unrivaled literary event to the City of Los Angeles on Saturday, June 29, from 10:00 a.m. to 6:00 p.m. Thousands book lovers, families, and fans of all ages will converge on the Vision Theatre backlot in historic Leimert Park to celebrate the written word. There will be over 150 celebrity readings, including: Judge Mablean Ephriam, VICTORIA ROWELL, Eriq LaSalle, book signings, writing workshops, panel discussions, poetry readings, stage performances and musical performance during this day-long festival." On Saturday, June 1, 2013, I spent the entire day at the Great American Pitch Fest and sat in the "Your Career in a Day" workshop. As a Script Reader, I attend a lot of conferences and festivals to keep a pulse on what is going on in the industry. Conferences and festivals are a good way to network and meet people. My personal opinion of conferences and festivals are that the presenters will give you a few tips on screenwriting. However, the screenwriters have to be able to discern the difference between fluff and reality. In my humble opinion, a lot of the presenters attend these events simply to promote their business. The presenters know that most of the aspiring writers are hungry for success and unrealistic about their writing ability. These are the screenwriters who don't want to believe that their scripts are not going to win an Oscar or make the producer "Rich." When Your Characters Stop Talking to You!!! Writers are creative people. We eat, live and breathe words. So what do you do when you lose your creativity, inspiration? Some writers get stressed. 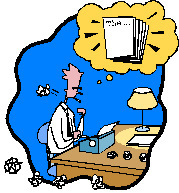 They become depressed; others simply end their writing career. When I’m working with a character and they stop talking, I put them aside. My attitude is “Two can play that game. You won’t talk to me, then, I won’t speak to you either.” I have hundreds of story ideas, and scripts waiting to be developed, polished, etc. I don’t have time for the games. A week or two may go by before they speak. In the meantime, I free write. I people watch and write down what I see. I’m looking for character flaws because that’s what makes people interesting. I brainstorm, thinking about family secrets, the alcoholic uncle, nosey aunt, toxic cousins and what makes them tick. So this is my list. What do you do to break writer’s block? The Writers Guild of America (WGA) receives over 40 thousand screenplays a year. That means the competition is fierce. You only have ONE change to impress a producer, agent or manager. Your screenplay is your calling card. It is a sample of your best work. It shows studios, producers, agents and managers that you are a serious writer and not a hobbyist. Yes, you can purchase a book to learn how to format and structure a screenplay, but nothing in a book can prepare you for that one-on-one experience of how well your script will fair in the eyes of the industry screenplay reader. If your script gets a “pass,” you will never get a meeting with a studio executive. Quiet as it is keep, producers, agents and managers all talk about your screenplays. Do not send your script out before it is ready. Let First Act Script Coverage read your screenplay and write the same coverage on it that an industry studio screenplay reader would; to give you an idea of how your script would be graded. First Act Script Coverage will also make suggestions on how to make your screenplay better. Finally, we will give your script the industry standard ranking of “recommend,” “consider” or “pass.” Let us help you make your script stronger. Go to www.firstactscriptcoverage.com and click on script coverage services. SUBSCRIBE TO THIS BLOG AND HAVE UPDATES SENT TO YOUR INBOX. degree in business and management from the University of Redlands and graduated with distinction from the University of California, Los Angeles (UCLA) Feature Film Writing Certificate Program. She is also a script reader for a major Hollywood management company. Marion personally hand-picks and trains all her readers. 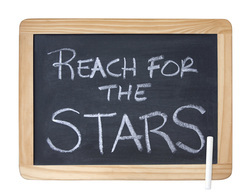 AFF Presents: Launching Your Writing Career. Are You Waiting To Write Your Story? Do You Know How To Write A Logline? Preparing To Enter A Screenplay Competition? What Is A Spec Script? When Your Characters Stop Talking To You! Why You Need A Screenplay Reader.